Skyscrapers, coyotes, and sand dunes. Rapidly urbanizing San Francisco is a biodiversity hotspot. With so many colorful plants and animals sharing our home, we're dedicated to educating our community about urban wildlife and pioneering projects to encourage exploring and stewarding local habitats. This year, we published a foldable map to show you where to find nature in the city! As a grassroots environmental nonprofit, we're delighted to provide all age groups with volunteering opportunities, educational resources, and advocacy support in San Francisco. At Nature in the City, we deeply value our partnerships. We're enthusiastic about working with individuals and organizations who share our love for nature. If you have a bright idea for a collaboration, please reach out — we can't wait to hear from you. Will you take part? Together, let's explore nature in the city. Earth Island Institute is Nature in the City's fiscal sponsor. For 25 years, Earth Island Institute has been a hub for grassroots campaigns dedicated to conserving, preserving, and restoring the ecosystems on which our civilization depends. Our work is deeply rooted in San Francisco. 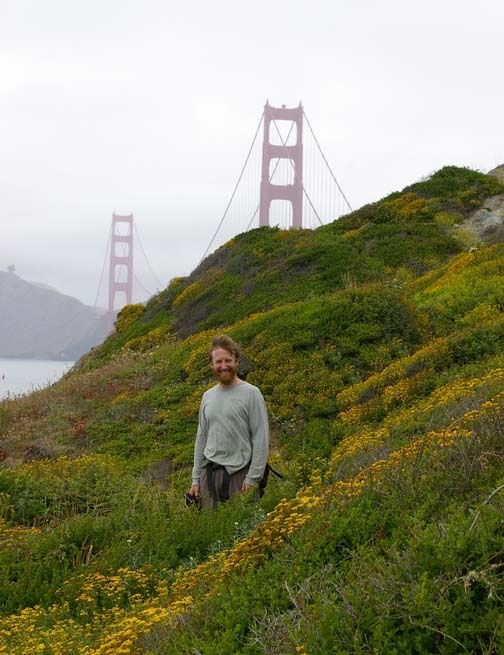 Founder Peter Brastow started Nature in the City in 2005 to build, strengthen and unify the movement to conserve San Francisco's natural areas and restore biological diversity. Nature in the City has sought to catalyze ecological restoration and stewardship in San Francisco by connecting urban people and nature, right where we live. Peter entered the fray of the city's environmental activist community with a unique set of skills and experience, as an urban natural resource manager and community stewardship coordinator, from his former position as the Presidio's National Park Service Ecological Restoration Specialist.